Torino Film Festival launches with "Finding Your Feet"
After ten years away, the Torino Film Festival has returned to its original home of la Mole Antonelliana and began with the world premiere of Richard Loncraine’s "Finding Your Feet." "It's a story about the fact that when you get to be an old person, like I am, lifely hopefully doesn't stop," says Loncraine. "That you can change. That you can start again. It's about people who start again. It's a very optimistic film." Finding Your Feet focusses on Sandra who has to rebuild her life after her husband of forty-years has an affair with her best friend. Actor, Timothy Spall, who plays Charlie in the film said: "It's optimistic because they come together. We often think people who go to clubs like this are peculiar but the movie answers the kind of questions or judgements we may have." 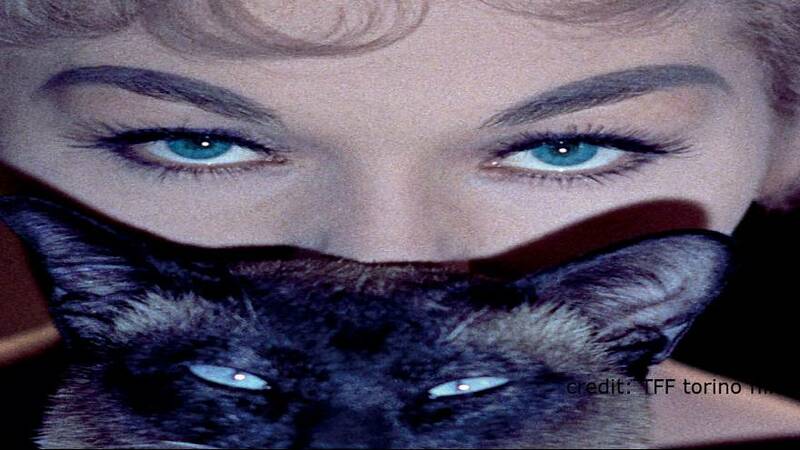 The official image of the thirty-fifth festival is Kim Novak and her cat Cagliostro from the 1958 film "Bell, Book and Candle"
The festival is dedicated to Brian De Palma - although he is unable to attend because he's editing his latest film, Domino. An international jury will oversee the films on show. Among them is the Greek writer Petros Markaris. He explained his reasons for being there. "''My relationship with cinema is as writer and ghost-writer with a very famous Greek director, Theo Angelopoulos." The Torino Film Festival continues until the 2nd December. There will be 169 movies shown and the emphasis is on the quality of the films rather than high profile glitzy red carpets.